This was recommend to me by a trusted source. Its pure and I feel good about taking it. 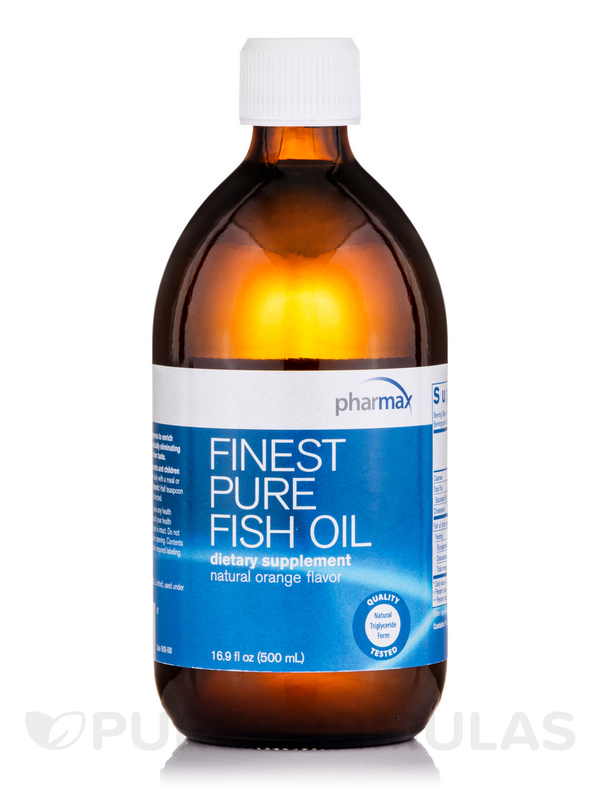 Finest Pure Fish Oil by Pharmax seems to be good for what it is. No bad side effects that I know of. Fish oil contains the omega-3 fatty acids eicosapentaenoic acid (EPA) and docosahexaenoic acid (DHA). Both types of omega-3 fatty acids are precursors of eicosanoids‚ molecules that may lessen inflammation in the body. In addition‚ these fatty acids are thought to be beneficial in supporting heart‚ mental‚ and vision health. If your diet is rich in processed foods like soy and lunch meats‚ vegetable oil‚ nuts‚ whole grains‚ and seeds‚ you’re getting highly-concentrated amounts of omega-6 fatty acids. If you don’t eat a lot of fatty fish‚ sea vegetables‚ or flax seeds‚ you likely have an imbalance of fatty acids in your body. Fish oil supplementation that includes DHA and EPA may help return your body’s fatty acid ratio to normal. 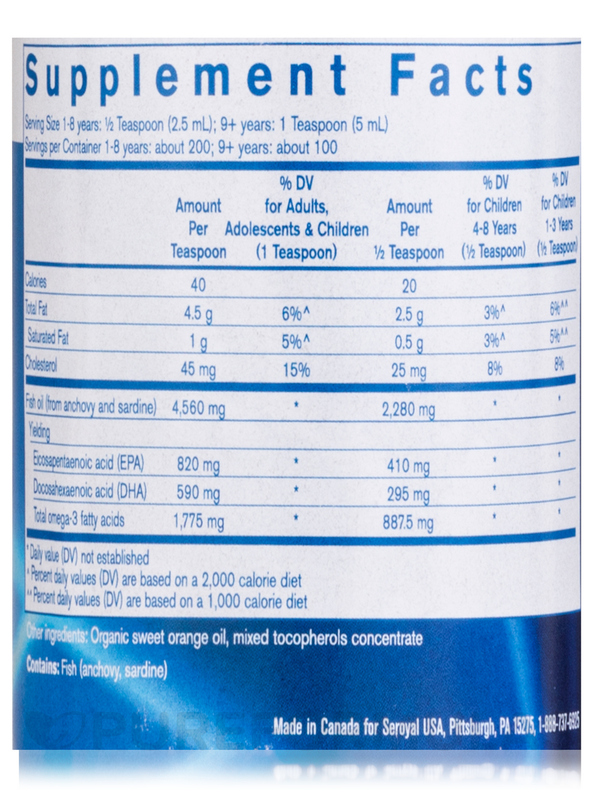 Adults and Adolescents (9 years and older): One teaspoon taken daily with a meal or as professionally directed. 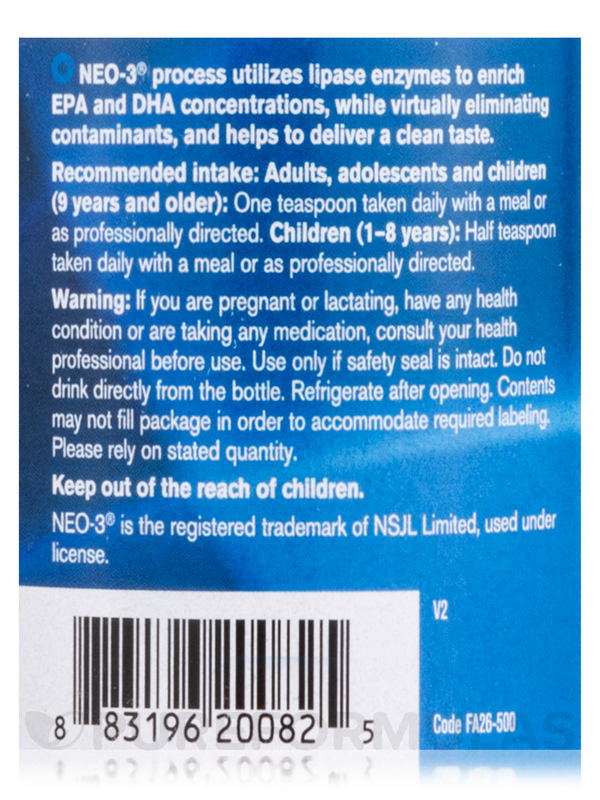 Children (1-8 years): Half teaspoon taken daily with a meal or as professionally directed. Keep out of reach of children. Vacuum-sealed for your protection and for product freshness. Do not use if outer seal is missing or broken. Refrigerate after opening. no fishy flavor or burps! I use high dose fish oil to keep my lipids in check and Finest Pure Fish Oil by Pharmax truly lives up to its name! No fishy flavor, no fishy aftertaste or burps. Goes down easy. Love the big bottle too, since I go through it quickly! The price is steep but the quality is the best! I have been taking this Pharmax brand for more than 8 months and will continue to. 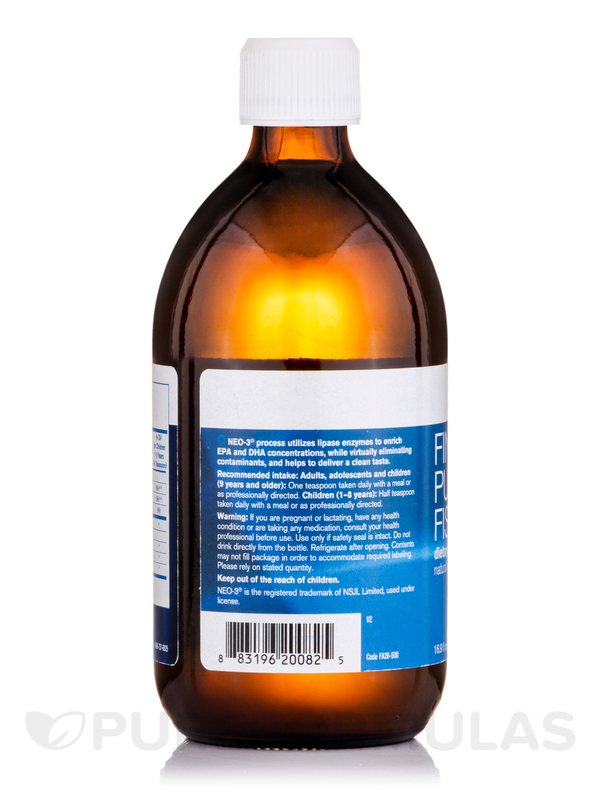 Blood work after last lab tests showed improvements after taking this Finest Pure Fish Oil (Orange). 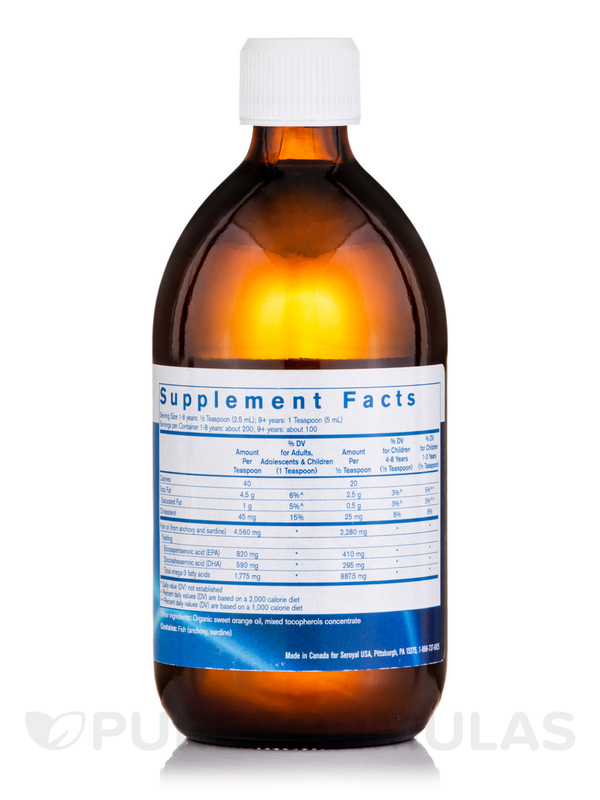 Price : it is one of the highest priced fish oils if not the most expensive. My eye doctor told me specifically what to look for in a fish oil for my dry eyes. Finest Pure Fish Oil by Pharmax has definitely helped! My wife takes this every day and she has tried many different formulations of Fish Oil and many of them have bothered her with either a fishy taste or burping. She has no concerns with taking this material. I does not ever bother her. Like this fish oil. Dr. recommended Finest Pure Fish Oil. Its easy to take no burping. Very good quality. It doesnt have that awful taste and I prefer liquid over capsules. Finest Pure Fish Oil is the only fish oil so far that does not make me burp it up for hours later. I was leary about the orange flavor since it is usually hard on my stomach but it has been just fine! I often add it to smoothies and our breakfast porridge. Ive been using Finest Pure Fish Oil daily for over six months about 2 Tablespoons/day.